Rather than an artistic style of painting, in today’s context, impression is a measurement by which audience is measured for its engagement to a digital content. 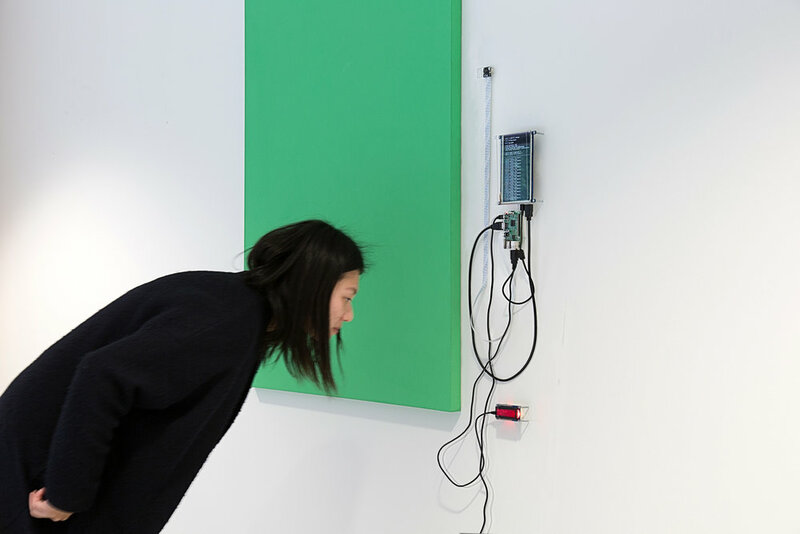 Technology enabled tracking for how people interact with the content is how digital and increasingly physical institutions plan, measure and value everything from a cat video to an exhibition space. ‘The Impressionist’ is a painting of this years most popular color - the Pantone ‘Greenery’. Using technology such as facial recognition, painting adopts this emerging definition for ‘impression’ and proposes a speculative way of valuing art by its popularity and audience’s engagement with it. Value of this painting depends on factors such as for how long or at what time in a day visitors look at it. The question is, could this idea of ‘digital impressionism’ translate into, add and nurture cultural values or would it be a next step towards absurd monetisation of everything?.